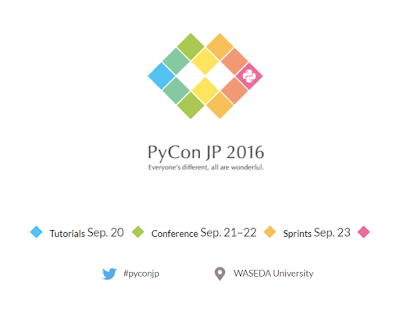 Sorry for the long wait, but the PyCon JP 2016 website is now available! You can start submitting your talk proposals or apply for sponsorship. See https://pycon.jp/2016/en/ for more details. On the account dashboard, click the “Apply to be a sponsor” button. Once we have reviewed your application, we will contact you via the contact email you provided. On the account dashboard, click the “Create a speaker profile” button and create your speaker profile. Once you’ve completed your profile, you can submit talk proposals via the “Submit a new proposal” button on the account dashboard.